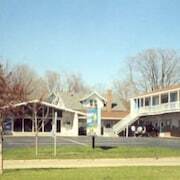 Situated in Manistee, this hotel is within 3 mi (5 km) of S.S. City of Milwaukee, Orchard Beach State Park, and Manistee County Historical Museum. Ramsdell Theater and WaterWorks Museum are also within 3 mi (5 km). 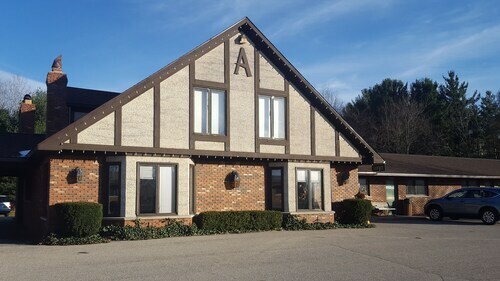 Situated near the beach, this hotel is within 1 mi (2 km) of S.S. City of Milwaukee and Manistee County Historical Museum. Ramsdell Theater and Orchard Beach State Park are also within 2 mi (3 km). 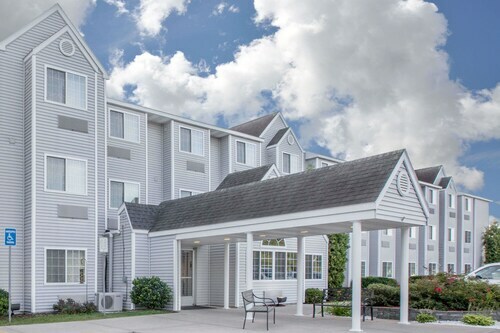 Situated in Ludington, this hotel is 0.2 mi (0.3 km) from West Michigan Fairgrounds and within 3 mi (5 km) of Sandcastles Children's Museum and Ludington Waterfront Park. S.S. Badger: Lake Michigan Carferry and North Breakwater Light are also within 3 mi (5 km). Situated near the beach, this hotel is within 3 mi (5 km) of Ramsdell Theater, Manistee County Historical Museum, and WaterWorks Museum. S.S. City of Milwaukee and First Street Beach are also within 3 mi (5 km). 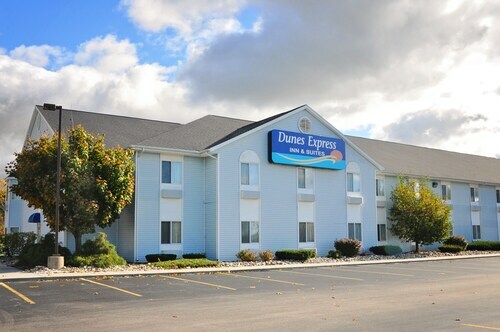 Situated in Ludington, this motel is 0.1 mi (0.1 km) from West Michigan Fairgrounds and within 3 mi (5 km) of Sandcastles Children's Museum and Ludington Waterfront Park. S.S. Badger: Lake Michigan Carferry and North Breakwater Light are also within 3 mi (5 km). 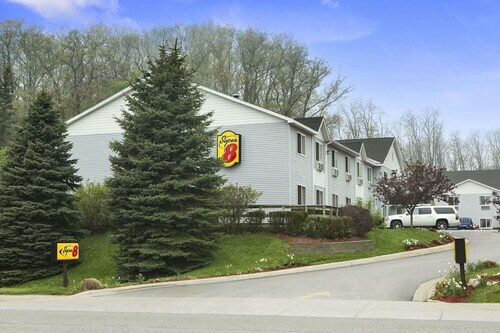 Situated near the airport, this hotel is within 1 mi (2 km) of S.S. City of Milwaukee and Orchard Beach State Park. Manistee County Historical Museum and Ramsdell Theater are also within 2 mi (3 km). 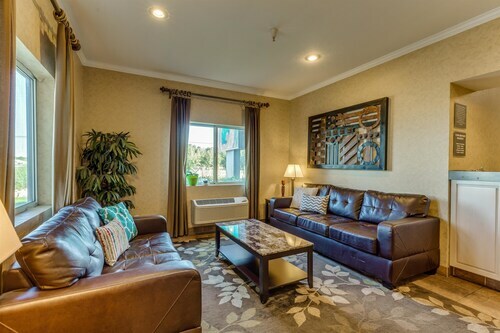 Situated in a rural location, this motel is within 9 mi (15 km) of Heathlands Golf Course, Douglas Valley Winery, and Captain John Langland Park. Arcadia Bluffs Golf Course and Chestnut Hills Golf Course are also within 12 mi (20 km). How Much is a Hotel Room in Ludington? 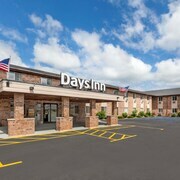 Hotels in Ludington start at $50 per night. Prices and availability subject to change. Additional terms may apply. If you are researching an adventure in Northern Lower Peninsula and desire the perfect place to stay in Ludington, there are a wonderful selection of options. You'll find 13 accommodations within a 6-mile (10-kilometer) radius of Ludington's heart that are part of Travelocity's booking portal. 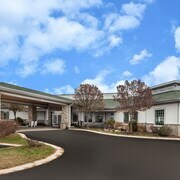 Scouring the internet for accommodation just a short journey from Ludington couldn't be easier. 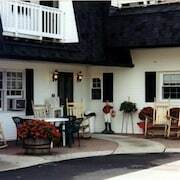 Travelocity's complete database lists the The Inn at Ludington and Ludington House Bed and Breakfast, which can be found within a distance of 0.6 miles (1 kilometer) of Ludington's city center. 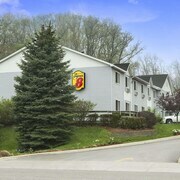 If you'd like to spend time in Ludington, but have to be budget beware and basically are looking for more affordable hotels or apartments, our hotel database has quite a few economy lodgings to offer The Super 8 Manistee is 20 miles (36 kilometers) from the main part of Ludington, while the Budget Host Alpine Motor Lodge is 30 miles (51 kilometers) away. Two other Ludington hotels in the lower price range include the Microtel Inn & Suites by Wyndham Manistee and the Americas Best Value Inn. 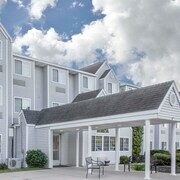 The Comfort Inn is 2 miles (3 kilometers) away from the center of Ludington. Another alternative is the Comfort Inn Hart, which is positioned 19 miles (30 kilometers) away. 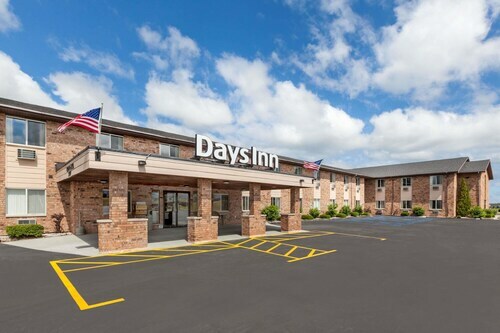 The Days Inn Pentwater along with the Best Western Lakewinds are two more Travelocity-listed options around Ludington. After you have thoroughly explored Ludington, how about you explore a little more of the region? The Northern Lower Peninsula area is home to myriad things to offer visitors. Northern Lower Peninsula offers lakes, and other commonly visited sights are lighthouses. In this fascinating part of United States of America adventurous travelers may try their hand at snowboarding and skiing. The nearest hotels in Northern Lower Peninsula include Bear Lake and Elberta. Bear Lake is 35 miles (60 kilometers) to the northeast of Ludington, while Elberta is 45 miles (76 kilometers) to the northeast. Travelocity-listed places to stay in Bear Lake include the Bella Vista Inn and Bear Lake Bed and Breakfast. The Harbor Lights Resort and The Hotel Frankfort are a selection of the Travelocity-listed lodgings in Elberta. After you've explored the available hotel options in Ludington, make sure you look at our Ludington area guide for local secrets on all the ways to have fun in this area. Room decor is quite unique, and pleasant. Room was clean. Staff was very friendly and helpful. Close to the casino! Clean & friendly staff! 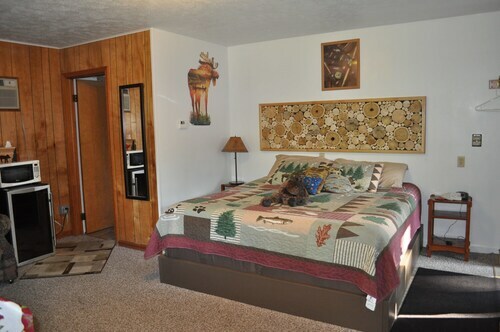 Cute rooms for an excellent price! The motel is only two blocks from Lake Michigan. It's very clean and the owners are nice. It was winter and the older windows did let cold air in but their thermal curtains helped keep it warm in the main room but a little chilly in the bathroom so we kept the bathroom door opened when not using it. 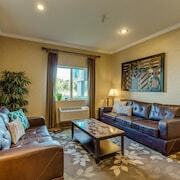 Great price for a great room. Staff was courteous and friendly.